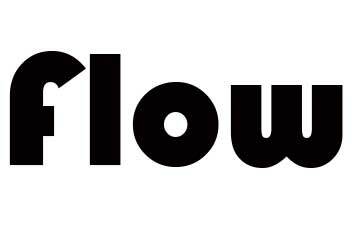 FLOW: BIG WATERS, a soundwork, video and photo project. The works are based on research carried out in the Florida Everglades. Recognized as one of the largest swamp complexes in the United States, the Everglades is actually a slow moving freshwater ecosystem. Focusing on the passage of man in this River of Grass, the project examines ideas of swamps as metaphors for decay, ruin, transformative agents of physical and spiritual states. The research and creative aspects of this project took place between January 2014 and February 2016. For the month of July 2014, we were artists in residence in the Everglades National Park, Florida. Invited there by the National Park Service and AIRIE – Artists-in-Residence-in-Everglades, we immersed ourselves in this sub-tropical wetland to record audio, video and to photographs. We wrote digital poetry and fictions based upon observations, oral and written histories. From that research of recording / gathering material, encounters with local residents, consultations and outings with Park Scientists, Technicians, and Rangers, the actions of humans in the natural environment emerged as a focus for our work. Our experience of working in media arts is holistic and the interconnectivity of the Park’s ecosystem continues to hold interest for us. The swamp is a place that has captivated the human imagination since the beginning of time. In the Middle Ages, the miasma theory held that gas emitted by swamps caused disease and even death. This theory was dismissed in the 19th century but the metaphor of swamps as sinister and forbidding places was carried into the vernacular language through the ages. References to swamps still flow easily off the tongue in everyday conversation. For example, when we are busy, we say that we are swamped and when we have too much work, we say that we are bogged down. Through examining this unique landscape, we explored ideas of swamps as metaphors for decay and ruin, but also as transformative agents of physical and spiritual states. Between ourselves, we have established a structure that permits individual input and creative output. Working as a team, each of us traded off recording audio and visual material. In the writing and editing process, some works are collaborative in their development while others are individual creations drawing from the same material. Within this project, we have produced 12 audioworks,12 videos and a bank of photoworks.